To be honest I had not heard of Neal Morse until I stumbled upon his song “The Temple of the Living God” while searching for some Dream Theater songs. “Temple..” is on his CD entitled “?”. Yes, that is the name of his CD and it is one of the best pieces of work I’ve heard and at times the most unusual. I have since looked back into his career and downloaded several other previous projects, including Morse’s stint with Spock’s Beard (funny band name). The type of music Neal plays is hard to put into a category. The closest I could come to is progressive rock. The progressive rock genre demands real musicianship which seems to be lacking in 90% of music anymore. But where the others fall short, this musician excels. Neal Morse is a musical genius. His mix of jazz fusion and metal is a staple of his genius. He tends to use very talented guest musicians on his projects. Some of the talented folks who have contributed their wares are such names as Steve Hackett (Genesis), Jordan Rudess (Dream Theater), and Michael Portnoy (Dream Theater) and this latest effort is no exception. Paul Gilbert of Racer X, and Mr. Big fame is the guest guitarist on this release, and he swings a mean axe. Michael Portnoy once again pounds his skins on SS and Neal’s regular sidekick on bass Randy George wallops some heavy bass on all tracks. The combination of these skillful musicians makes for a truly amazing CD from top to bottom. The biggest bonus to this CD is the lyrical content. The CD title alone should give you some kind of indication of what the listener is in for. Sola Scriptura is the Latin term meaning “by scripture alone”. For a more concise meaning please check out this Wikipedia link. The first song on “SS” is called “The Door” an it’s subtitles “Introduction, In The Name Of God, All I ask For, Mercy For Sale, Keep Silent, Upon The Door” will get you even closer to what you are in store for. Hint: Upon the Door could contain the word Wittenberg on it. But you should see for yourself. This is just a foretaste of the whole package. I would definitely recommend this CD for anyone who loves music, appreciates musicianship, and loves the historical content surrounding the Protestant Reformation. For a preview of the music or purchase it, and read some other reviews, go to the Amazon link to check it out. Rock on! I read a review on CT’s music site. The music sounds very interesting. What seems just as interesting is that he supposedly, according to the article, rejects the Trinity. Doesn’t mean people shouldn’t listen- but it’s ironic he’d support Sola Scriptura yet reject another foundation of the Reformation. That is interesting I will have to find the article and check it out. The Trinity is a basic tenet of Christian theology. To deny it is false doctrine. I wonder just how committed Morse is to Sola Scriptura if he denies this important doctrine? I still like the music and will listen to it. It is a shame if the article is true. I thought I had found a Christian rock musician with serious theology. The critical aspect of Jesus is that he was (and still is of course) perfect and without sin. Only someone like that could pay the penalty against us. He must come from heaven and be the Son of God in a sense none of us are. I’m sure Neal Morse understands this. Yet, while there is a sense in which Jesus is described as God (Emmanuel or “God with us”), it is interesting that the predominant theme of the New Testament is “God the Father” and Jesus “the son of God” (look up the multitude of references in a concordance). Nor do we find any lengthy explanation of the traditional Nicean doctrine of the Trinity in the New Testament (odd for a doctrine considered so important) while we have lengthy discussions on subjects as (comparatively) minor as meat offered to idols or election of deacons. Then there are some scriptures that seem decidedly non-Trinitarian. Just a couple examples include “that they all may be one; as thou, Father, art in me, and I in thee, that they also may be one in us…” or “My Father is greater than I”. I just think before you start saying that someone isn’t committed to Bible accuracy or serious about theology, that you should be certain just what their position is and whether they may not respect Jesus every bit as much as you do. Hi Jeff, thanks for your reply. Taken from one of the comments: “Many people say the doctrine of the Trinity was not formulated before Nicea, but that is not true. In Latin, the term ‘Trinitas’ was first coined a hundred years earlier, by Tertullian. This fact immediately debunks the often heard allegation that the semi-converted emperor Constantine pushed this doctrine. When Tertullian wrote about the Trinity, Constantine had yet to be born”. The scriptures are filled with references to each of the persons of the Triune God. While the term is not uniquely used within, the concept is surely there. While it may be hard to understand, (there are many concepts and attributes of God we do not fully comprehend) this does not mean it is not there. I do appreciate your comments. I do not think it a matter of disrespect of Jesus that is the issue with Morse, it is more a matter of scriptural truth vs. heresy. Hi Jeff, I don’t see how you understand Jesus’ words from John 17 (“that they all may be one; as thou, Father, art in me, and I in thee, that they also may be one in us…”) as non-Trinitarian. Don’t these words rather point into the opposite direction? They imply the highest level of unity. The one question I’ve never seen properly answered by Unitarians is this: “If Jesus is not divine, then who or what is He?” Moreover, we can ask why he was without sin? Paul declares in Rom. 3:23 that ALL men have sinned. If He were merely a man, how come He was the exception? Or did He commit sin? If yes, how could He ever have been the blameless lamb who atoned for our sins? He would have had to die for His own sins, just like all of us. If He is not divine, what does the title “Son of God” actually meand? Why do they worship the Lamb (and we all agree that’s Jesus, don’t we) in Revelation? If He is not God, wouldn’t that be idolatry? And so on? So: who is Jesus? Just a man (as they sung in “Jesus Christ Superstar”), an angel? a…? For anyone interested in the above discussion I have provided a link to the Neal Morse interview. Please read it for yourselves. Interesting stuff. To really understand Neal’s views one must do a little research. Please check out these links and you will find more answers to the question. Does Neal really believe in Sola Scriptura? Neal is a member of a Gospel Assembly church in Ten Christian Gospel Temple. The Gospel Assembly movement was started by a man named William Sowders. If you read the following link you will fully understand Neal’s Sola Scriptura CD this is from a sister church that the Christian Gospel Temple fellowships with. Unfortunately all of these links are obsolete now. Welcome aboard and thanks for the comment. I had done some research by looking at his web site recently but I did not dig into the church he attends. I agree that their doctrine is way out there. Heresy actually. It is good to believe in sola scriptura but when you interpret scripture based on the beliefs of a man (William Sowders) and his “experiences” then you have in fact invalidated sola scriptura. You are instead basing your faith on experiences also and not on scripture alone. The CD itself does not get into the doctrine of his church but only the impact of Martin Luther for the church. On this I can still support his art. But let him start singing about pumpkins floating in the Ohio 🙂 and will not buy them any longer. Let’s be careful not to judge by association. The fact that someone attended a particular church doesn’t imply he agrees with the particular teachings of its founder. Thanks for the welcome, I think though if you really explore the GAC site I linked first and pay close attention to their views on “the body” and “the bride” you will see that Sola Scriptura is really about the Gospel Assembly church being todays reformers. I don’t think he is totally denying the Trinity. He is searching the Scriptures to discover what he truly believes, and although I totally believe in the Trinity, it is a subject that the Scripture is not less clear on, but definitley harder to discern. Justification by faith is an easy doctrine to glean from the Bible because of verses like, “The just shall live by faith..” but it is not as obvious with the Trinity. He believes the parts that are obvious, but our traditional creed of the Trinity is not explicitly stated in Scripture. I wish less Christians would criticize other Christians because they have doctrinal differences. I was at a conference this weekend called New Attitude, and a speaker there named Mark Dever said, when we get to Heaven, we’ll all find out that everyone of us was wrong in our theology. So don’t assume that because someone differs you in a less obvious doctrine, that they are wrong. Love Neal because he obviously loves and delights in the one true God of Heaven. Is that your real name? 🙂 Welcome to BarryDean 4 Christ. Thanks for leaving a comment. First of all I am a bit jealous of the fact you were able to attend the New Attitude conference. I love listening to Mark Dever (saw him at Shepherds Conference the last 2 years) and I would agree with his statement. I will also state that I hope that Neal Morse is searching through the scriptures. I believe that the doctrine of the Trinity to be a major doctrine. A doctrine that we should go to the proverbial wall for. If you disregard it your whole theology can be corrupted. How do you account for Genesis 1:26-27? In 26 it is written that God said “let us make man in our own image”, and then in 27 it says “God created man in His own image…” it is a perfect example of showing God as more than one and God as one. I agree that it is a hard thing to understand but the bible does teach it. Did you read the links provided above by Joe Wallace? It does provide for some concern in the doctrine of the church Morse is affiliated with. I do love the Sola Scriptura theme and really love this CD and his music. I was doing a search on Neal Morse and came across your site. I appreciate the conversation and Joe’s links as to Morse’s church et.al. Like everyone else I believe that Neal Morse has to do some serious study on this subject especially after I had read that his understanding of the Nicene Council comes from The History Channel. Hopefully he comes around to a more orthodox view on these important truth’s. John Piper’s ministry has been of great benefit to my wife and I. I remember working through the Pleasures of God on our honeymoon! He really brings the doctrines of Grace down to earth from the stratosphere of theology, which is ironic because he is quite a capable thinker himself. Interesting that I had never head of either Spock’s Beard or Dream Theater until I came upon the Vanguard Church Blog and clicked on his progressive rock link which features Neal Morse and Mike Portnoy. Great find, and having iTunes really facilitated acquiring their music at a reasonable price. Amazing how the internet for all of its faults does allow Christian’s with common interests to meet in various ways. I have a question. I was just reading in some of the links above about the doctrine of the church which Neal belongs to. I find Neal’s music refreshing and uplifting. Yet, with some serious doctrinal differences with typical orthodox Christianity, how does one get past that, now that I know about it? Examples being the trinity, the mortality of the soul? I see scripture as being very clear on the trinity, and eternal life or seperation depending upon your relationship with Jesus Christ. Howdy from BarryDean and welcome to the blog. To answer your question I would have to say just be cautious. There are so many Christian artists trying to be theologians but when you read the lyrics and weight them against scripture, determine how accurate they really are. I also have to keep in mind that folks discover doctrinal error in their own personal view of scripture all the time as they mature in Christ. It has only been about 5 years since, by the grace of God, I discovered the seriousness of the doctrine of election. Neal Morse is a fairly new believer as I have been reading, so if he is honestly reading and searching the scriptures his doctrine will change. In the mean time if you like the music, as I do, I see no reason to put it on the shelf. He is a very talented artist who uses talented artists on his albums. Unlike some of the postings above I am not so skeptical about the content of this particular album. I believe it to be his artistic rendition of Martin Luther’s life. Enjoy. Adding to that, I see in this blog that many of those who react are prog-fans anyway (no surprise!) and listening to Spock’s Bears, Dream Theather, and so on. In that context it seems a bit weird to dismiss Neal’s music because of doctrinal differences. Most other artists don’t have any Christian content in the lyrics at all, but I don’t see that being questioned. Personally I don’t limit the music I listen to, to those lyrics that are 100% in line with my ‘100% perfect’ theology! (please understand the irony here…). We are all learning and none of us has the perfect interpretation of Scripture, I myself draw the line that I don’t wanna hear songs that advocate sin, or blaspheme my Saviour and unfortunately that excludes tons of music. Thanks for the reply. I thought this through quite a bit, and actually Neal would fall into place right along with all of the other secular metal (mostly), prog, and rock that I enjoy. I certainly for the most part can spot error, at least blatant error, on the part of Christian artists anyway, and that hasn’t stopped me from gleaning something from them anyway. For instance there is one artist who has moved into the direction of Universalism, but that has not stopped me from listening to them. I don’t know where to ask this question, but I would like to ask you a few questions about guitars. Would that be possible? Ask away. I’m not sure I will have an answer but I should be able to point you in the right direction. I hope you don’t mind if I chime in here again. I would just like to add that I understand the idea of being able to separate Neal’s music from his theology. I could not do it myself, I had been a fan since about 1999-2000 and had no idea of the theology he held (although there were clues everywhere). After wrestling with his statement of his beliefs on Jesus made public last August on his message board for a weekend I decided I could not just sit idly by I had to engage. Over the months from August 2006 until May 2007. I had been very active in the debate, I was invited to his home as well as others from the message board to engage in a online discussion with him as well as others from their church. I met many of Neal’s friends and family, they are really nice people. I have also met many who came out of this group, and they have become close friends, make no mistake about it , this is a cult in every sense of the word. I really do care for Neal and others I met there but I also care about a message which is being put out by his music. This is why I try to inform those that may not otherwise investigate this matter. What you do after understanding where they come from is entirely up to each individual but now that it is public knowledge at least there is a choice to be made. I definitely appreciate your investigation into this matter. Wow, it sounds like you put a lot of energy and effort into this. Again, I find nothing in his lyrics to push an agenda outside of his interpretation of Martin Luther and his stand against the Catholic Church. I do not read in the lyrics his claim that his own church is the reformation. I will agree that it is not a good idea to adopt his doctrine. From what I have read, from your links and info to some others I’ve read, it does sound like a cult. Let me ask a question. Do you listen to any other music aside from the music of artists whose doctrine is sound? Do you listen to any secular music? I understand for a lot of folks that is major issue and I can appreciate that. But brother, I hope you aren’t suggesting that it would be wrong for a believer to listen to such music. I certainly make no judgment on anyone for listening to any kind of music they want to. I was only trying to clarify somewhat, my position. If you are interested I wouldn’t mind talking with you through e-mail, about this and on reformed theology. Maybe I’m not suitable for say a word on Neal Morse ‘s Sola Scriptura: I’m catholic…. I think Neal’s teology is Subordinationism. Subordinationism was based on ‘deuteros theos’ greek idea. This point of view was rejected by the Nicene Council. I hope the Word of God will enlight him soon…. Thank you for your comments. You are more than welcome to comment here. I am not certain of Neal Morse’s theology. I believe it to be more modalistic like than subordinationism. He believes that God is one and that He has multiples aspects like the son, and the spirit. This is completely false. The bible teaches that God the Father, God the Son, and God the Holy Spirit are three distinct persons. Yes the music is quite good. If it’s true that Neal doesn’t believe in everything that was decided at the Nicene Council by the church fathers then Neal is a HERETIC and is going to burn in hell forever! Anyone who listens to his heresy and gets sucked in by the evil in his message will burn in hell with him!!! BEWARE!!! The Nicene council is not that pivotal. People think that, because they think that councel ‘invented’ the doctrine of the Trinity. If reality it ony confirmed what most Christians had been confessing all the time. So, no, the Nicene council was not perfect as no human endeavour in theology is perfect. But believing in the Trinity does not depend on that. Your email address looks made up and it is hard to tell if you serious or just trying to pull our chain here. I’m taking a shot at responding to you in general. The only belief Neal Morse should be concerned about would be the his belief in the doctrines taught in the whole of scripture. Basically If he doesn’t believe that the son of God who has existed since eternity past came to earth as flesh, died for our sins and was raised again and seated at the right hand of the Father then he will be condemned to hell. As for your other comments, my prayer is for the true believers to use their God given discernment when listening to anything. I just discovered this discussion and thought I would let you and your readers know that I came out of the church Neal attends in 2003. I was raised to believe those false teachings. The one that most negatively affected me was their doctrine of perfection (that one has to reach sinless perfection in the flesh to merit eternal life). I have just finished writing a book about my journey out of this religious cult into the truth of the Gospel. My book is not written from any malice or mean-spiritedness. I still love many of the people caught up in the deception of this group and pray for their deliverance, including Neal. I believe he is basically a good guy who had the misfortune to fall in with this group as he was initially searching for God in his life. My purpose in writing the book is to reach people who are still being deceived and enlighten others who have no understanding of groups like this. I pray that God will use it for His glory and that the book will reach the audience God has ordained to read it. My book will provide a lot of background and fill in some gaps for those of you who want to understand this group and its history. The book is being edited now. I have an artist working on the cover. A pretty well known musician friend is writing the foreward. And I hope to publish the book by the end of the summer. I will definitely announce its publication in as many places as I can, including my own blog. I am always alarmed to read people so attached to man-made doctrine that they accuse those who dare question it of denying something sacred. If the Trinity doctrine is so sacred and untouchable why did it not get formulated until the dubious circumstances of the Nicean counsel in 325? The very definition of Sola Scriptura demands extreme skepticism of that doctrine in particular because Trinity does not appear in the Bible …. anywhere. Further, it directly contradicts the fundamental difference between Jewish monotheism and lumps Christianity with the many different brands of polytheism – Deuteronomy 6:4. Will you refuse to keep an open mind to what Neal is saying because he was first inspired by a secular television program? Is God’s influence restricted to televangelists selling their wares? Scripture has many examples of people who made the mistake of rejecting a message because it came in a way they didn’t expect. Will you make the same mistake? Ok, even reading this after six years doesn’t keep me from repying! 😉 Many people say the doctrine of the Trinity was not formulated before Nicea, but that is not true. In Latin, the term ‘Trinitas’ was first coined a hundred years earlier, by Tertullian. This fact immediately debunks the often heard allegation that the semi-converted emperor Constantine pushed this doctrine. When Tertullian wrote about the Trinity, Constantine had yet to be born. There had been several discussions about the nature of Christ in the preceding centuries. But usually it was not debated whether He was divine, but rather how His divine and human nature could co-exist. The divine nature of Christ was commonly believed by the early Christians. That was the main reason why most Jews rejected Christianity. So the purpose of Nicea was not – as Dan Brown falsely suggests in “The DaVinci Code” – to ‘promote’ Jesus to a divine status, but to come to a conclusion in the debate about how the human nature and the divine nature relate to each other. Tertullian had already formulated the Trinity doctrine. Nicea confirmed it, but it was not new. I believe the heart of the matter is the identity of Jesus Christ. By all means, the title ‘Christ’ indicates that He is the Messiah the Jews had been expecting for so long. “Christ” (“χριστος”) is the Greek translation of Messiah, which means “anointed”. But is He equal to God? – In Revelation, the lamb of God, Jesus, is worshipped. If he were not divine, this would be blasphemy, since the bible clearly prohibits worship of anyone but God. – In Phil 2:5-11, Paul says Jesus was EQUAL TO GOD, but He became human out of obedience to the Father, because of which the Father gave Him the Name above every Name. Who else than God could ever have the highest name? This passage alludes to Isaiah 42:5-8, which is clearly about God. Isaiah 45:21-23 makes very clear that our God is the only true God to whom every knee shall bow. In Phil. 2:5-11 Paul says every knee shall bow to Jesus Christ. It is remarkable that Paul, having been educated as a fervent monotheistic Jew, applied those verses from Isaiah, that had always been exclusively applied to the God of Israel, to Jesus Christ. – Thomas called Him “my Lord and my God”. Jesus did not rebuke him for that. Much more can be added to this. Today it seems trendy to point to the Council of Nicea as the source of many errors in the church. In reality, Nicea cleaned up a lot of theological noise that had been generated up to that moment. Some look at Constantine as the evil emperor, who organized the Council to shape the church after his ideas. I agree Constantine has had a lot of bad influence on the church, but the reason he supported this council was that he wanted the arguments and division in the church come to an end. He did not push the council into a particular direction though. He left it to the church leaders to come up with a common conclusion and they did. Their conclusion was to stick to the orthodox beliefs that had been the core theology of the church right from the beginning. The Creed of Nicea was not the invention of something new. So it’s not correct to say “Constantine gave us this doctrine”. He didn’t. Peter, Excellent points, all. Thanks for taking the time to read and post in the comments. Thanks so much for taking the time to comment. I am glad that you are alarmed. Alarmed folks pay attention. If the doctrine of the Trinity became more widely accepted at the Nicean counsel as you say then good deal. The bible teaches this doctrine clearly. The doctrine of the Trinity was never challenged until that time. The apostles all taught this doctrine. So when the doctrine was being challenged it was determined to include it in the human standards of biblical teaching. Hence the Nicean counsel and the documents drafted there. The bible is very clear on the subject of Jesus’s deity prior to His coming to earth and his subsequent resurrection. I am open minded until it flys in the face of biblical teaching. The teaching that denies the deity of Jesus Christ is cultic in nature, much like the teachings of the Moroman Church and Jehovah’s Witness. BREAKING THE CHAINS; Overcoming the Spiritual Abuse of a False Gospel. I will personalize the books ordered through my website. I wonder if this is still relevant to Neal’s beliefs now, as He founded a church himself last year. I don’t know what the reason for that was. Was it doctrinal? As far as I know, Neal still embraces the theology/doctrines of his former church which are under discussion here. He did leave his former congregation to start a church of his own in Nashville. I see a post every so often on Facebook about services held in various coffee shops around town. But I have never attended. And I don’t have any firsthand knowledge of his reasons for leaving. From what little I have heard, it was not over doctrinal differences. That church has lost most of its members over time and has dwindled to a very small group, comprised primarily of loyal family members still trying to support each other. I continue to be thankful for my deliverance from the group and from its teachings. But their “special understanding” of scripture often continues after leaving the group, which makes it hard for them to find a new church where they can feel comfortable. And many have started their own small gathering after leaving. Hope this helps. I have nothing against Neal or his family personally and have put my past behind me. But I did receive email notification of these recent comments and thought I’d answer your question. My book is still available on amazon.com in print and kindle versions. 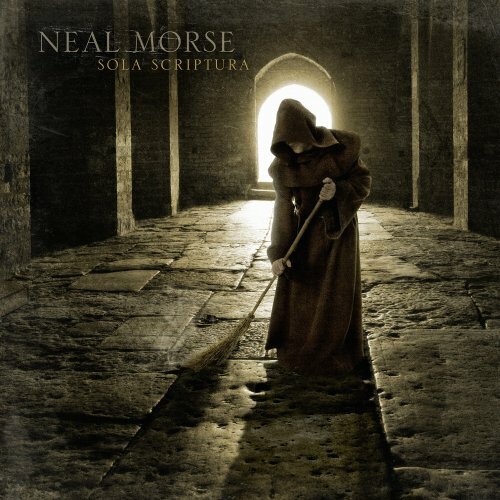 Neal Morse’s “Sola Scriptura” rocks, and I don’t even believe in the doctrine nor do I even pretend to, but I know good progressive rock with deeply thought-out lyrical content when I hear it. This is every bit on the level with Rush’s 2112. Seems to me that since reading the scriptures is itself an experience, no one really believes in “sola scriptura” strictly speaking anyway, for what everyone calls “based on the scriptures alone” is in fact based on their reading in addition to what they read. Thanks for the link to the Woodward album. I had no idea a gem like this existed. I will give a thorough listen and possible review here. Just stumbled back on this… not sure if you’re around Barry, but I’d like to reply that again, the point of the concept of Sola Scriptura would be to try to merely look at the words and teachings that are obviously there and not interject our own interpretation. It is conjecture to say the apostles taught “the Trinity”. If they did anything remotely similar I think there would be long chapters dedicated to why the Jews should change doctrine from God is one to God is three in one (the Trinity being a religious concept already well established in Greek pantheon at the time of Paul). The big discussion in the day was whether the food laws applied any more and whether Gentiles could also participate in God’s kingdom, not that Emmanuel meant God(s) with us. Anyways, to the Neal Morse CD – I am still blown away by the work years after I’ve bought the CD (key word is “buy” – we need to support this level of musical giftedness people). To be honest I find a lot of Christian music trite from both a lyric and musicianship level. Neal’s work is thought provoking and sets the bar high. I own “?” and Sola Scriptura. ? is the better album for lyrics and message while my scale tips to SS for the better music album. But they are both well worth the cash. Any fan of Dream Theater or Porcupine Tree would appreciate these CDs.